William Hill has accepted five start-ups onto its inaugural accelerator, handing out £25,000 to each in funding and offering 12 weeks' mentoring. The five start-ups include: Asylum Labs, a US-based social bingo startup; BetGame, an e-sports firm; Skillzgaming, a Tel Aviv-based casual gaming company; Streetlike, an in-store rewards service and Winkapp, another Tel Aviv-based augmented reality service. William Hill has chosen to partner with L Marks, which specialises in forging partnerships between big brands and start-ups, for its first accelerator. John Lewis also runs its incubator with L Marks. The path to innovation hasn’t always been smooth. William Hill receives a "small amount" of equity in each for its £25,000, according to corporate development and innovation chief Crispin Nieboer. The betting firm will hand a further £150,000 to the winning start-up, in exchange for more equity. One hiccup has been making those terms palatable to some of the qualifying start-ups. William Hill invited seven start-ups to become finalists after its accelerator pitch day, but failed to agree terms with two. Crispin Nieboer, head of corporate development and innovation, said: "[The equity] is variable based on the company, and what we see as their value. It’s all part of the negotiation." "We invited seven start-ups after pitch day, and two we didn’t agree terms with – the valuation was part of that. "We’re not out to screw every penny out of the start-ups." Nonetheless, global director for innovation and customer experience, Jamie Hart, acknowledged that start-ups might be cautious. He said of the L Marks partnership: "It's good to be handheld through the first [accelerator]. Especially as a bookmaker - people are quite wary of bookmakers, so it's good to have someone there to cut away from the Daily Mail impression of us." For Nieboer, a former investor and entrepreneur, William Hill is "not expecting to discover a £100 million business". Of the five finalists, he expects that only one may become a "strong supplier". The accelerator itself is also a gamble. William Hill initially explored a partnership with Collider, a third-party accelerator programme that counts Diageo and Camelot among its partners. But since Collider takes on 10 start-ups across multiple disciplines, William Hill decided to take a more focused approach with its own accelerator. Jamie Hart said: "This is taking it a step further. We have L Marks mentors on this, and it’s much more hands-on. Before [on Collider], we were more consultants. "At the end of this, we’ll work out whether it was the right thing to go this way, or whether we should have stuck with Collider." There’s also the question of whether a gambling start-up allying itself with William Hill might then struggle to scale its business, if rivals choose to steer clear. Both Hart and Nieboer dismissed these fears, pointing to the betting industry’s history of using suppliers that might be part-owned by a rival. The new accelerator is just one part of William Hill’s risk-taking efforts to attract a younger, diverse audience through tech. The firm opened WH Labs six months ago in Shoreditch, dedicating an office floor to new products and the accelerator. New concepts are tested among a group of 5,000 users, before being rolled out to a wider audience. 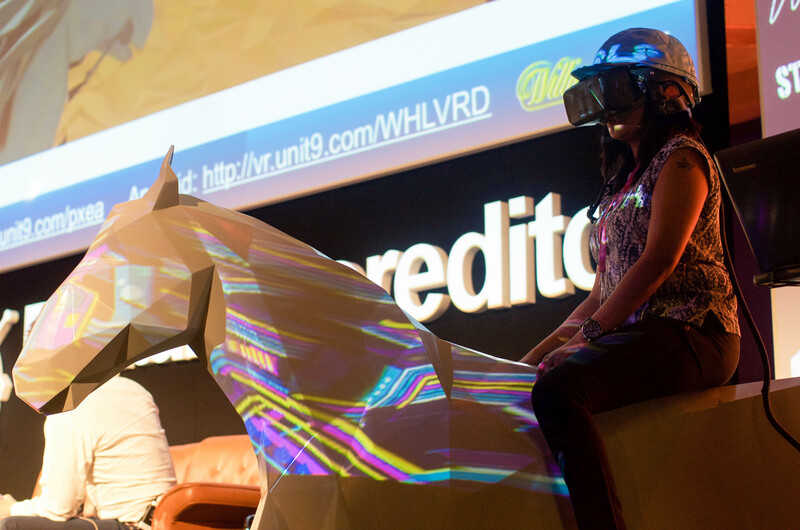 Earlier this year, WH Labs unveiled its experiments with virtual reality horse racing, giving millennials a taste of what it’s like to be the jockey. 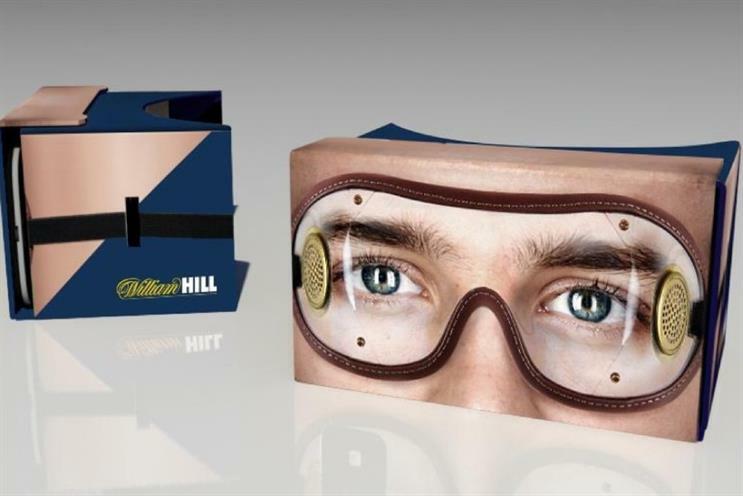 The plan is to roll out virtual reality in certain physical stores, though William Hill and its partners, Unit9, are still tackling the challenge of feeding live race data through to the wearer’s headset. The firm has also released the new Priority Access card, giving gamblers instant access to their winnings rather than waiting for a transfer to their bank accounts. The idea is to recast winnings as "fun money" that can be spent on drinks or a meal immediately after a win, with positive associations with William Hill. According to Hart, William Hill may track the way gamblers use their cards, potentially leading to tie-ups and offers from restaurants and other businesses. Another change is Project Trafalgar, a major upgrade to William Hill’s site infrastructure and mobile app. Hart said: "We get a good budget for R&D, and we have to make a call on what to spend it on. "The idea is to test stuff fast and if it does, take it to full production quicker, with the full knowledge it works."